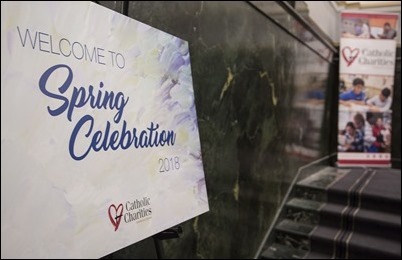 Last Thursday I went to the Park Plaza Hotel in Boston to attend Catholic Charities’ annual Spring Celebration. My sister was visiting from Mexico, so I asked her to attend the gala with me. 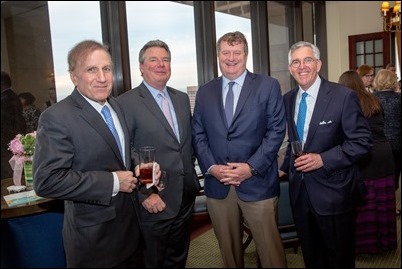 This year’s recipient was Barry Schrage who is the director of Combined Jewish Philanthropies. 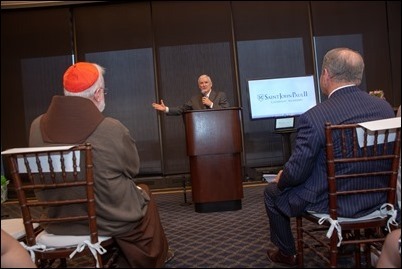 Recently, as the situation for immigrants has become more difficult, he approached us to say that, while Combined Jewish Philanthropies does not provide direct services, they wanted to help support Catholic Charities’ legal aid to immigrants. 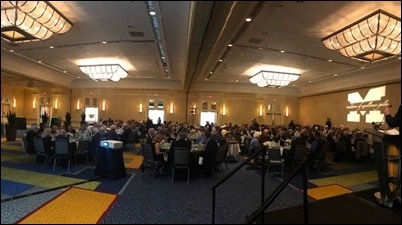 Certainly, the Jewish community remembers their own history of exclusion and difficulty trying to immigrate during times of oppression and hardship. 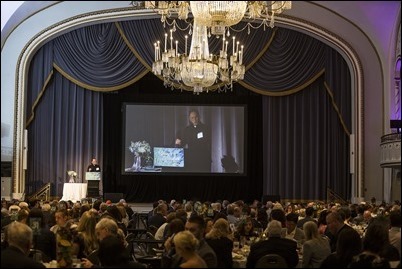 So, thanks to their generous support, over $600,000 was raised for Catholic Charities’ legal services. 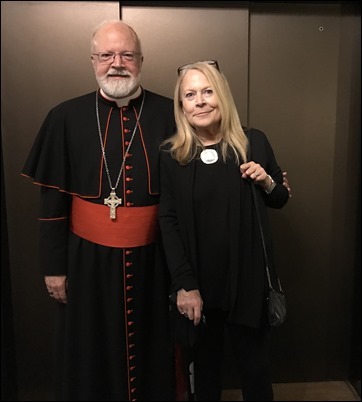 We are so grateful for that and were very happy there were many members of the Jewish community with us as we honored him. 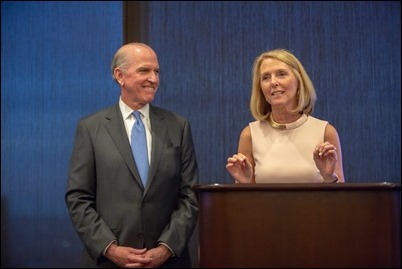 I also want to express our appreciation to Debbie Rambo and Jim Gallagher for their fine leadership of Catholic Charities and to all those who worked so hard to make this celebration the success it was, raising over $1.1 million to support the good works of Catholic Charities. 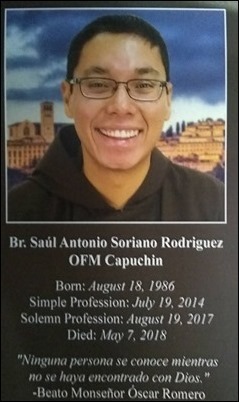 Friday, I went to Washington for the wake and funeral of one of our young Friars, Brother Saul Soriano who died very suddenly of an aneurysm. It was a very sad moment for us. Brother Saul was a young man, full of promise, and he was a very gifted and beloved member of the community. 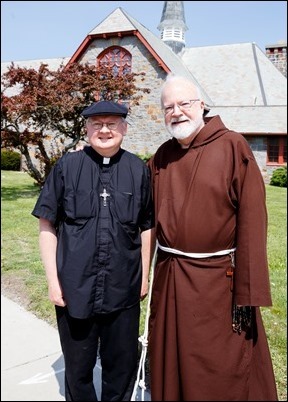 He was going to be ordained a deacon in a few months and was going to go on to work with our friars in Cuba. 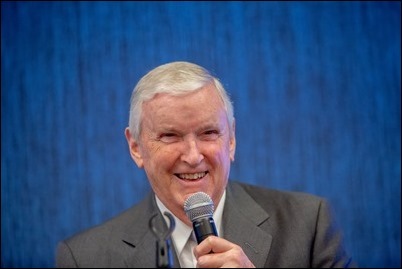 I know he was looking forward to this missionary assignment, but God called him home. 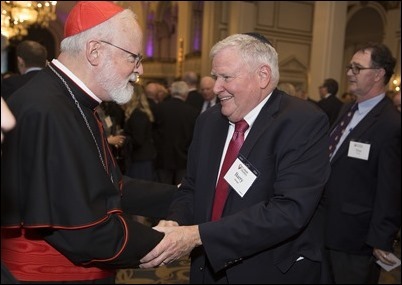 I keep thinking it was a lot like our losing Father Dan Kennedy here in the Archdiocese of Boston. There were many hundreds of people who came to the wake all day at the monastery on Friday. The following day, Saturday, we had the funeral Mass at Sacred Heart Shrine. Our provincial is in Papua New Guinea, so I was asked to celebrate the funeral Mass. It was standing-room-only with so many religious men and women and people from the whole community gathered to bid him farewell. Though his father died many years ago in an accident, his mother, sisters, and grandmother all live in the Washington area and were there with us. 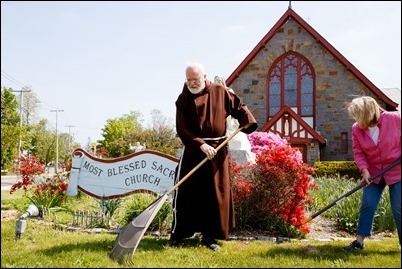 Of course, it was a terrible blow for the family as well as for his religious family and his Capuchin brothers who had such a great affection and respect for him. 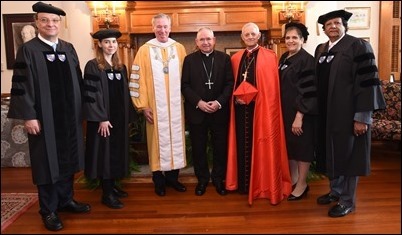 Since I was already in Washington, I had a chance to attend the luncheon following the commencement of the Catholic University of America which also took place on Saturday morning. 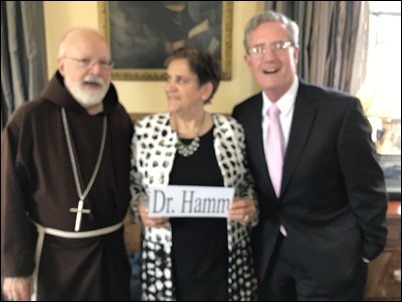 I particularly wanted to congratulate Maria Hamm who has been a prominent leader in the pro-life movement and was given an honorary doctorate at the commencement. Her family was very involved with me in my ministry at the Centro Católico, so I have known her for many, many years. 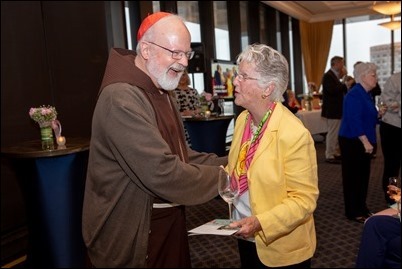 At the luncheon, I was teasing her that the only reason I got my doctorate from Catholic University was because her sister, Manella, typed up my dissertation for me. In fact, I told her, I wasn’t planning to go to the graduation, but Manella put me under a death threat that I had to be there! 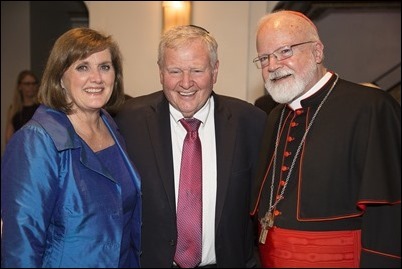 So, you can see this is a family that I am very close to and I am very indebted to them for their friendship and their involvement with my ministry for so many years. The following day was Mother’s Day, and we had a celebration at the monastery where we had many of the mothers of our friars come to be with us. 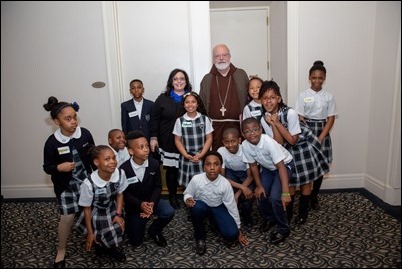 I also had a chance to meet with some of the members of the Third Order fraternity that I had started many decades ago, which I’m pleased to see continues to grow and is filled with young people. 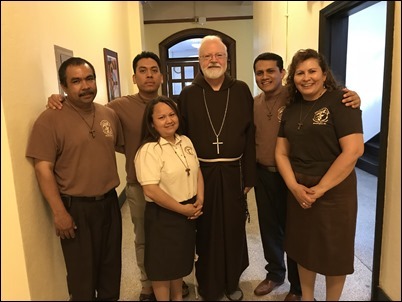 It was a great consolation for me to see that this fraternity has had such a missionary and evangelizing experience and it has continued to attract young people to Franciscan spirituality. 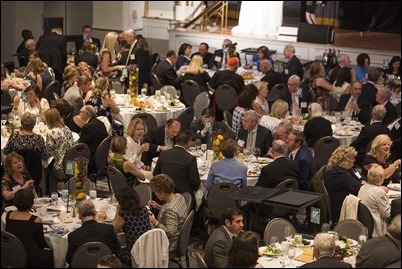 Monday, I was back in Boston and went to Matignon High School for their annual Tradition of Excellence Gala. 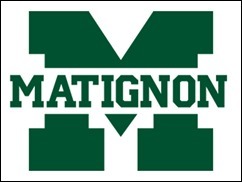 Matignon has a wonderful history. I believe it was the first high school that Cardinal Cushing started 70 years ago. The Sisters of St. Joseph, of course, were the original teachers and founders along with Cardinal Cushing. 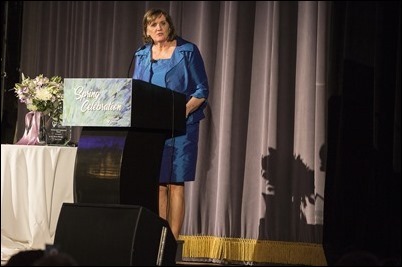 It was very significant that Sister Lee Hogan was there representing her community and gave the invocation. 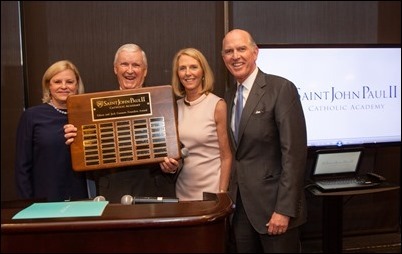 During the evening I was presented with their Cardinal Cushing Service Award, and their Distinguished Alumni Award was presented to John Griffin of the class of 1961, who has been involved with the board and supporting the school for years. Matignon’s Green and Gold Legacy Award was presented posthumously to Corporal Donald Curtin, a young soldier who was killed in Vietnam, and his family was there to receive the award on his behalf. I was very pleased that the school still cherishes his memory and wanted to honor him. 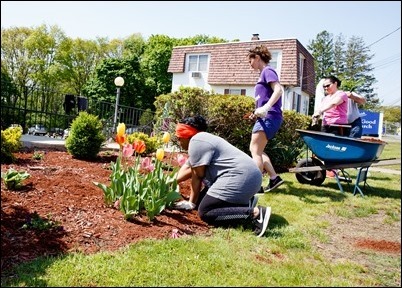 Matignon has been through some challenging times, but they are thriving now, and headmaster Tim Welsh is doing just a fantastic job. 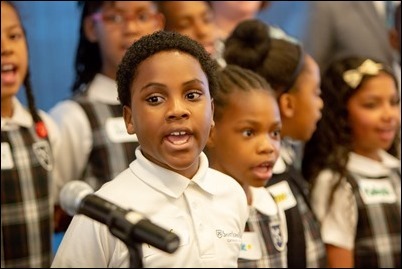 They have also taken great advantage of their geography, being in Cambridge, and have associated themselves with MIT and Harvard in some of the programs that are available to the students. As the gala demonstrated, they also have a very dedicated group of alumni and supporters. I was very pleased to see Hap Redgate and his wife Sue were there among them. 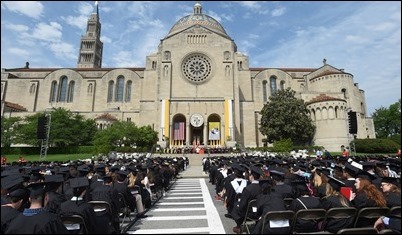 It is a wonderful school that certainly continues to live up to its tradition of excellence. 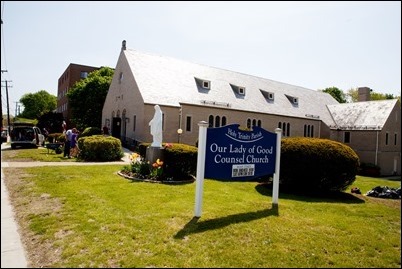 Tuesday I went to visit the employees from the Pastoral Center who were taking part in our annual Parish Service Week. 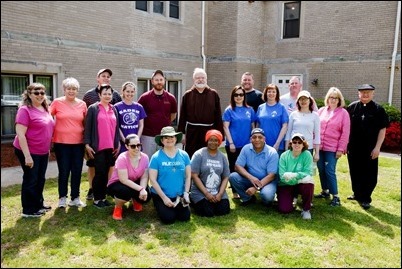 This year they were working at Blessed Sacrament and Our Lady of Good Counsel Churches of Holy Trinity Parish in Quincy, which is led by their pastor, Father Marty Dzengeleski. 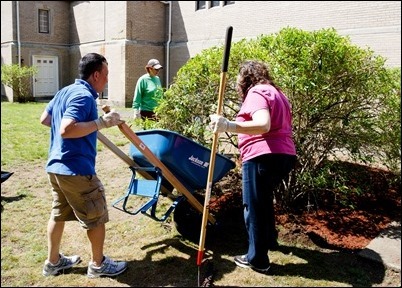 A number of the employees from the Pastoral Center were there doing such work as planting and painting. 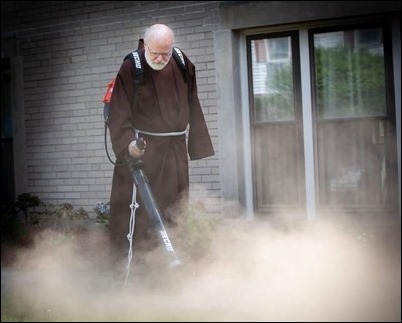 I even got a chance to use the leaf blower. I had never used leaf blower before, and it was a lot of fun. They practically had to wrestle me to the ground to get it away from me afterwards! 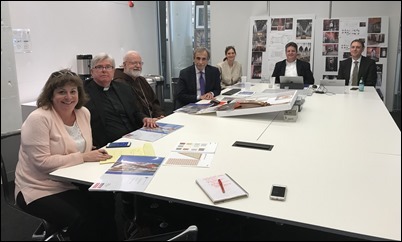 From there, we went to the offices of Elkus Manfredi Architects for an update on the progress of the renovations to the cathedral. Throughout the process, we are trying to preserve the essential elements of the original Keeley church. (This, of course, is the largest of the 700 churches designed by Patrick Keeley.) So, this was a chance to hear how things are progressing. We are looking forward to having the Cathedral open for Holy Week next year. 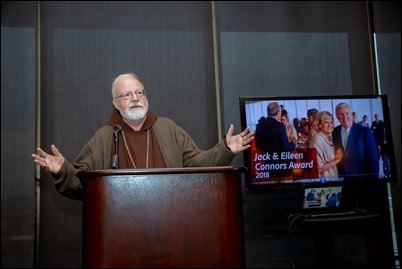 Wednesday, I went to the Boston College Club for St. John Paul II Catholic Academy’s Jack and Eileen Connors Award Reception. 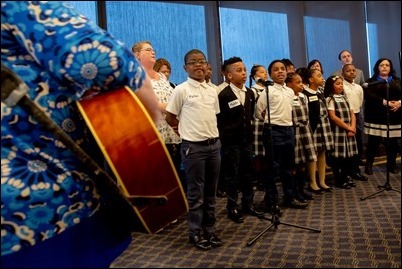 The children from the Academy began the evening sing for us. They did a great job! 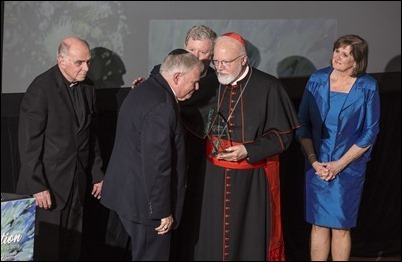 This year, the award was presented to Kathleen and Kevin Driscoll for their involvement, from the very beginning of the school, in establishing, promoting and raising funds for the Academy. 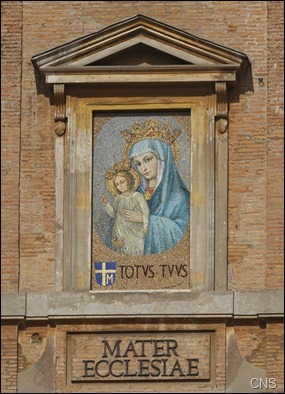 This weekend is, of course, Pentecost and on Monday we will be marking the new feast of Mary, Mother of the Church. This is a very ancient title of Mary, but Pope Paul VI lifted it up, and now Pope Francis has initiated this new feast day. It is very appropriate that it is marked at this time because at the very beginning of the Church the Apostles, the first followers of Jesus, gathered with Mary in the Cenacle and prayed with her for nine days before Pentecost, waiting for the Holy Spirit. The Holy Spirit overshadows Mary in the Gospel and Jesus is born; and the Holy Spirit is poured out on Mary and the Apostles at Pentecost and the Church is born. So, it is a beautiful title and I am very grateful to the Holy Father has initiated this new feast. We encourage everyone to be aware of this new Feast because it is the first time that it will be celebrated and, going forward, it will always be on the Monday after Pentecost.